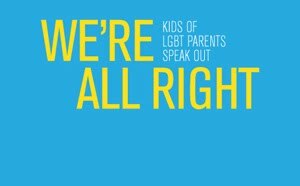 Queers United: Kids of LGBT Parents: "We're All Right"
Heck yes they are all right! They are more than that. I am glad someone else is saying what I know in my life to be true!